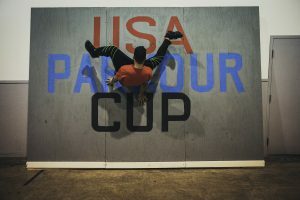 January 2019, Tampa, Florida played host to the return of the highly acclaimed USA Parkour Cup. 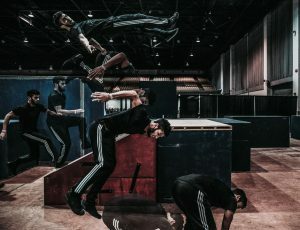 2018’s competition saw some of the World’s best Parkour athletes throw down some insane tricks, and this year’s event was expected to be no different. Needless to say, it lived up to expectations. 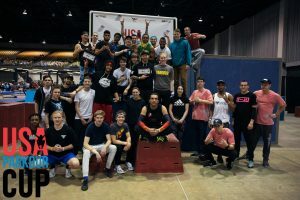 With the course set (courtesy of INTEGRATED OBSTACLES – https://www.integratedobstacles.com/) and athletes arriving from all over the country, it was finally time to find out who will claim the title of the USA Parkour Champion. Day 1 had a packed schedule, consisting of the Young Pro’s Competition, the Adults’ Speed and Freestyle Qualifiers. 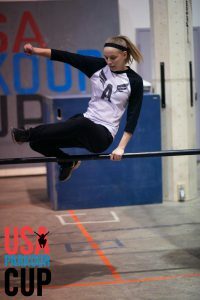 Often underrated, the Young Pro’s division saw a lot of new talent arrive on the scene – very promising as the incoming generation of Parkour athletes. The Kids’ division showcased some incredible skill, ultimately, with Jayden Harris coming out on top. The Young Pro’s Speed division was just as stacked and exciting with a nail biting finish for 1st and 2nd. Kenton Lewis coming in 1st place by barely a second faster than 2nd place Dylan Picard. The speed competition was truly electric. Athletes tackled the same course in a number of different ways, but in the end it was Tavon McVey – 2018’s speed champion, that once again retained his crown with an incredible run taking on the bars in a way that no one else had managed too, linking his lache’s in the fastest time. On day 2 of the competition, the best athletes from the Freestyle Qualifier faced off for the championship title. The women’s division had tough competition, noteably with Maddie Muchenberger, Carly Foor, Biance Diniose, Dara Depaolo and Jemini Powell. In the end Jemini’s difficulty level, coupled with her solid execution proved to be the winning formula as she took 1st place. The Men’s freestyle competition was probably one of the hardest for the judges in terms of top 5 placement. Unanimously, Bailey Harter took 1st place, with 4 different double twist movements back to back in his run. JB took 2nd, Jarrod Luty 3rd, Sean Higgins 4th and Louie Chavez 5th. Each person really threw down solid solid runs with just a few points discrepancy between them. While only a few athletes are crowned the ‘winner’ for their skill and movement style, we want to recognize all the athletes for their determination, countless hours of training and incredible sportsmanship. It’s their perseverance in private that has gotten them to this point in the public arena, and we’re humbled to have these fantastic athletes be a part of another successful competition. We are also want to thank our TALENTED JUDGES – Bob Reese, Paul, Will Davidson and Brett Matheny. Our GENEROUS SPONSORS, BiPro, IMMA Apparel, FlyFree Movement and Popup Parkour. Our infectiously entertaining HOSTS – Fernando Arce and Nick Provost, as well as all the people who put hundreds of hours in behind the scenes. Thank you all for your continued support, and we look forward to what next year has to bring!